The CW‘s latest episode of Supernatural got our hopes up with a misleading title. There is no “Peace of Mind” when it comes to Jack’s (Alexander Calvert) peculiar predicament. With the exception of some sweet and silly moments, we’re given much to worry about throughout the hour. We fall to pieces when Sam (Jared Padalecki) gets brainwashed and ack undergoes a soul assessment. Yes, the soulless struggle feels like deja vu again. However, this time is even worse than Sam’s situation. Jack might be the most powerful being in existence, which makes him even more dangerous than Soulless Sam. Castiel (Misha Collins) is already freaking out over the amount of soul juice Jack burned off to kill Michael. Dean (Jensen Ackles) feels ill-equipped given his track record with Sam, so he seeks counsel from Donatello (Keith Szarabajka). The prophet knows firsthand what it is like to live without a soul and maintain a sense of morality. Dean snake-sits while, Donnie and Jack do some soul searching over coffee. Missing a soul doesn’t make you bad, but it is still a loss of humanity. To feel nothing – good or bad – infringes on the human experience. Without the guidance of that gut instinct, Donatello and Jack turn to their role models. Mr. Rogers serves as Donatello’s moral compass and the Winchesters are the best men Jack knows. Awwww! This is a tough scenario for all involved. Sam, Dean, and Cas are right to worry. It is really sweet that Jack doesn’t want his family fetting. It is very moving that he wants to emulate the boys, although they’re still far from perfect. Jack makes a fair point – he needs time and space to figure this out. He might still feel something, which is definitely better than nothing. But his actions are questionable, no matter how well-intentioned they may be. Supernatural — “Peace of Mind” — Image Number: SN1415A_0502b.jpg — Pictured (L-R): Jensen Ackles as Dean and Alexander Calvert as Jack — Photo: Dean Buscher/The CW — ÃÂ© 2019 The CW Network, LLC. All Rights Reserved. Cas witnesses a major red flag. Jack’s new pet snake won’t eat and misses his owner. After pondering What Would the Winchesters Do, Jack finds a way to make the snake happy again. He kills the snake, so he can reunite with his owner in Heaven. Oh, snap! This does not bode well. This situation is a hot mess. I feel bad for them all. Jack tries really hard to do the right thing, but his interpretation of “right and wrong” is skewed. Cas probably isn’t powerful enough to go up against Jack if he ever turns on them. 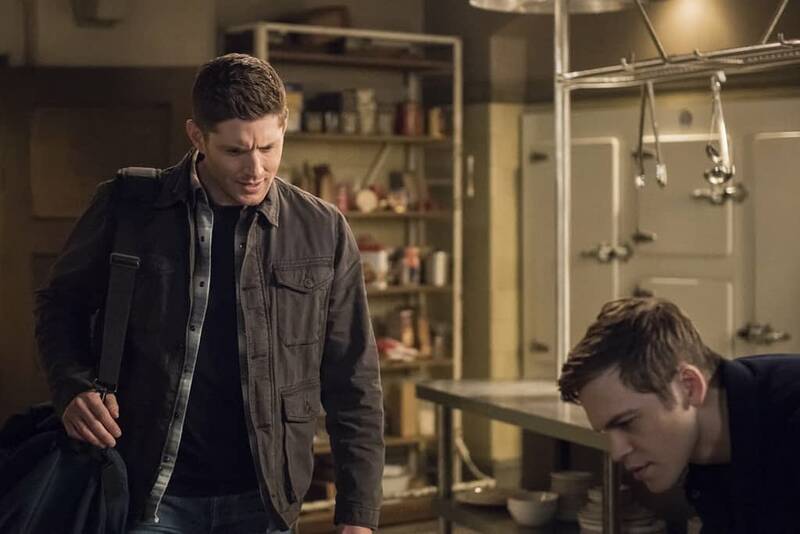 Dean has a special connection with the kid, but we’re not sure if he’ll be able to get through to Soulless Jack when the time comes. Sam is the only one who has been in Jack’s shoes. He knows what it is like to feel nothing and sense a profound change within himself. I think he should step up and guide Jack before his condition escalates. He’s looking for a distraction anyway…right? Sam throws himself in cases to avoid mourning the loss of his hunters. He let his team down when Michael smoked them all. He’s experiencing PTSD and uses any excuse to stay out of the bunker. 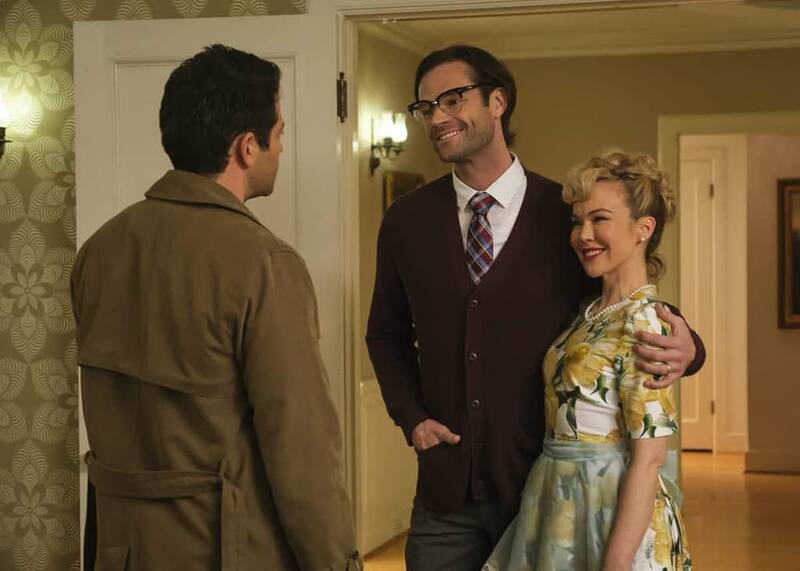 Dean sits this one out to take care of Jack, so Cas steps in as Sammy’s wingman (pun totally intended). Heads are literally exploding in this quaint town that is eerily frozen in time. Mindful manners and irresistible milkshakes reign supreme, while inexplicably mind-blowing events go overlooked. Sam falls under the town’s spell, Cas comes to his rescue and all is revealed in an awkward confrontation. It was Mayor Harrington (Bill Dow) all along! After losing his wife, he longed for the simpler and happier times in life. He uses his powers of persuasion to brainwash people and once they start remembering the truth – BOOM. He even killed his daughter’s boyfriend. There is no stopping his delusion…or is there? Turns out the apple doesn’t fall far from the tree. Sunny (Caitlin Ashley-Thompson), has her father’s abilities and locks him in cerebral a happy place. He’ll never be able to hurt anyone again and the town can go back to normal. This case was a bit strange. Cas breaks the spell and brings Sam back to his tragic reality, but Sunny technically saves the day. Harrington was on one helluva power trip until she shut him down. I’m not sure if Cas and Sam would’ve been able to stop him the way she did. In the end, Sam found a sense of comfort in losing himself. Behind the silly facade of an ugly sweater, goofy glasses, and ridiculous ponytail, Sam was able to briefly escape the pain. He blames himself for the hunters’ deaths. He tried running away from it by throwing himself into work. He’s living in the crime scene, which is extra horrible. But he says something important to Dean – the bunker is their home and he doesn’t want to lose that. It is funny how things change over time. Back in Season 2, creator Eric Kripke destroyed the Roadhouse because he didn’t want the boys to have a home. I was really bummed because that bar and the company kept within it were awesome. Hunters had a place to hang out, share war stories, help each other on mysterious cases, etc. Flashforward a decade and the boys have settled into the Men of Letters bunker. The bunker started off as the ultimate hunter’s resource. It is built as a fortress against evil and is loaded with informative records. Over the past year, it really morphed into a proper home. Like the Roadhouse, hunters consider it a safe haven. And now, the boys have made family memories there. The bunker hosted the one and only Winchester Family Dinner. That alone makes this place home. Supernatural airs Thursdays at 8 p.m. ET on CW.